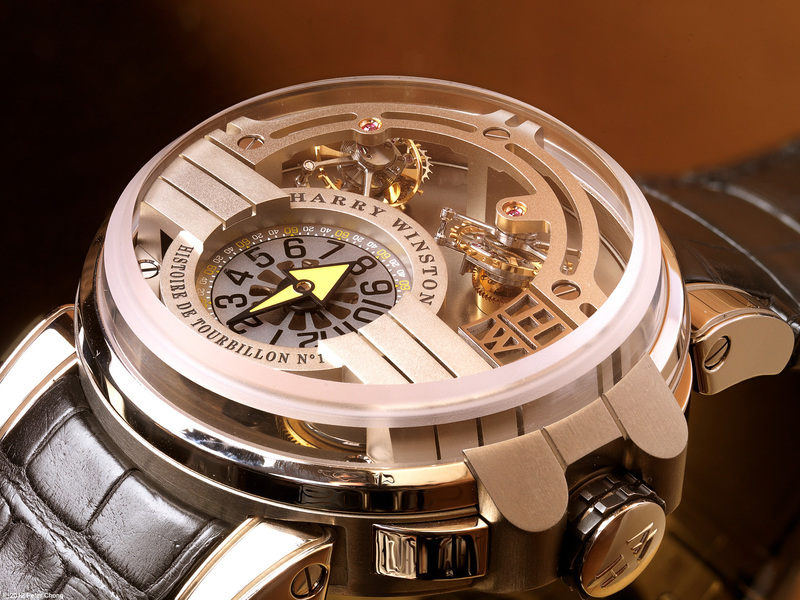 On Wednesday, I featured the Harry Winston Opus 7. 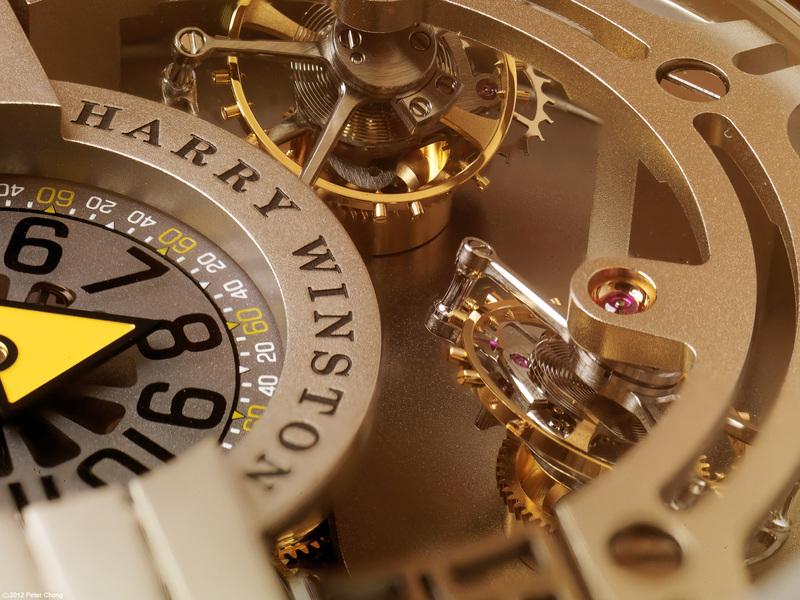 Today is also a Harry Winston...not an Opus, but also a collaboration. 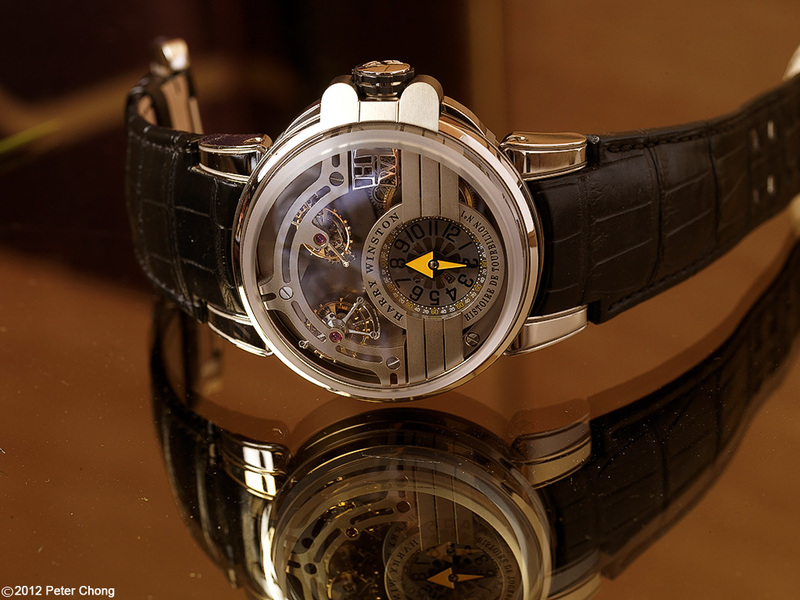 This time with Greubel Forsey...an interpretation of their wonderful incline tourbillons which I featured last year. 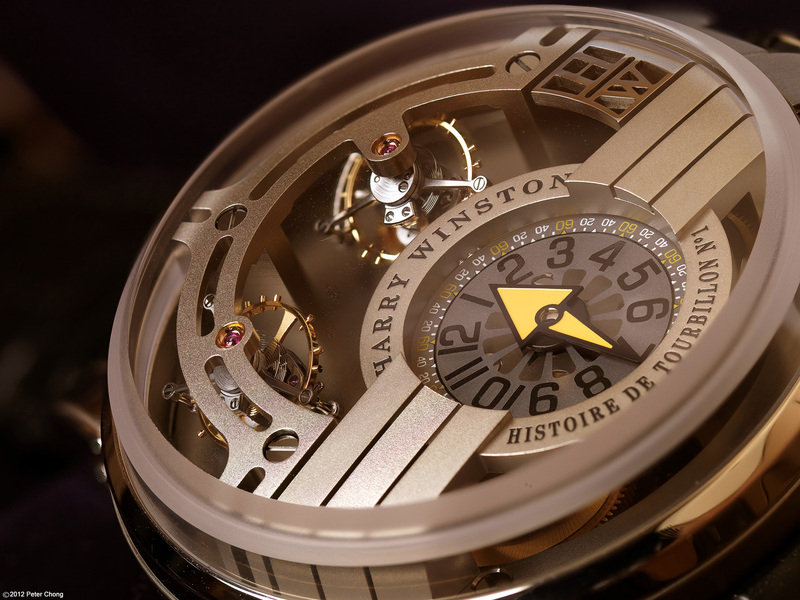 Harry Winston calls it their Hiastorie de Tourbillon 1. This very imposing timepiece features a very large 48mm case constructed of white gold and Zallium. It is a very large watch, but the aestetics and propotions are carefully worked out, that it doesn't look overly monstrous. I think it sits rather well on the wrist, and has some great presence. Truly magnificent watch, limited to 20 pieces. Finish, as is usual for GF and HW, is absolutely top drawer.